Activation requires a valid US address for E911 functionality. 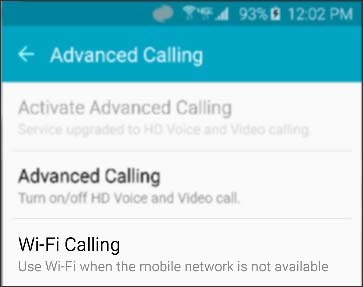 Activation requires a cellular data or Wi-Fi network connection. 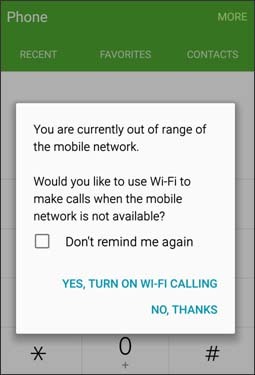 Wi-Fi Calling settings don't transfer after switching devices and/or performing a factory data reset. Make and receive calls over Wi-Fi when outside of the Verizon network coverage area. Wi-Fi Calls always originate in the US, even when a customer is outside of the US. Calls to US numbers are not billed (except for 411 or other premium calls). Calls to international numbers are billed according to the customer's international long distance plan. To proceed, review the Terms & Conditions then tap CONTINUE. Ensure the Terms & Conditions option is checked . Enter the emergency location information (E911) address then tap SAVE. 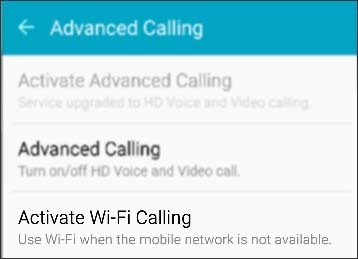 Upon successful validation of the address, Wi-Fi Calling turns on. Power-cycle the device if not in the Verizon Wireless coverage area or travelling internationally. Go to step 2 to complete the activation process.